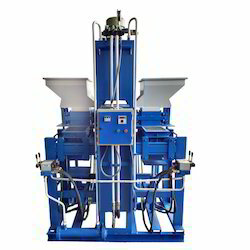 We are a leading Manufacturer of semi automatic moulding machine from Ajmer, India. we are one of the leading manufacturer and suppliers of Semi Automatic Moulding Machine. We obligated to meet the quality standard clients requirements.